Church buildings are important evidence for wider historical developments in the life of the church and parish. In particular the theological and liturgical assumptions of the original builders are likely still to be apparent – a particularly prominent pulpit for the ministry of the word and relative lack of ornamentation suggests an Evangelical outlook, whereas a raised chancel (especially if behind a screen) and altar will point to an Anglo-Catholic theology. Current appearances, however, can be deceptive, if the churchmanship of a parish has changed over the generations, but dating alterations to a building can be a valuable clue as to when such changes occurred. Buildings also give some clues to growth and decline in attendances, for example in evidence for the construction and/or removal of galleries or additional aisles. Remember, however, that in this respect aspirations could often exceed realities! What can others tell you about how the building has been altered within living memory? Has the way in which it is used been changed? What has been the impact of external events and changes such as possible damage in World War II, and the effect of changes to the nearby built environment and street layout? Follow this link for information on oral history. James Stevens Curl, Book of Victorian Churches, London: Batsford, 1995. 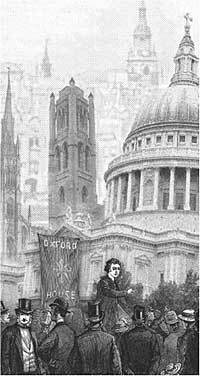 Peter Howell and James Sutton, The Faber Guide to Victorian Churches, London: Faber, 1989. Nigel Yates, Building, Faith and Worship: The Liturgical Arrangement of Anglican Churches 1600-1900, Oxford: Oxford University Press, 2000. 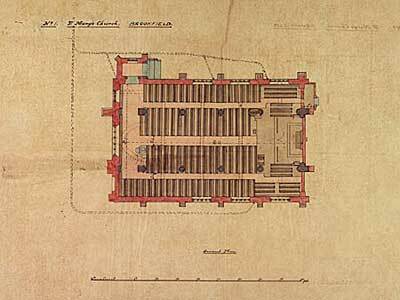 Incorporated Church Building Society ground floor plan for St Mary’s Church, Brookfield (Image courtesy of the Church Commissioners). If the church you are interested was built, extended or substantially altered during the last two centuries (and few have not! 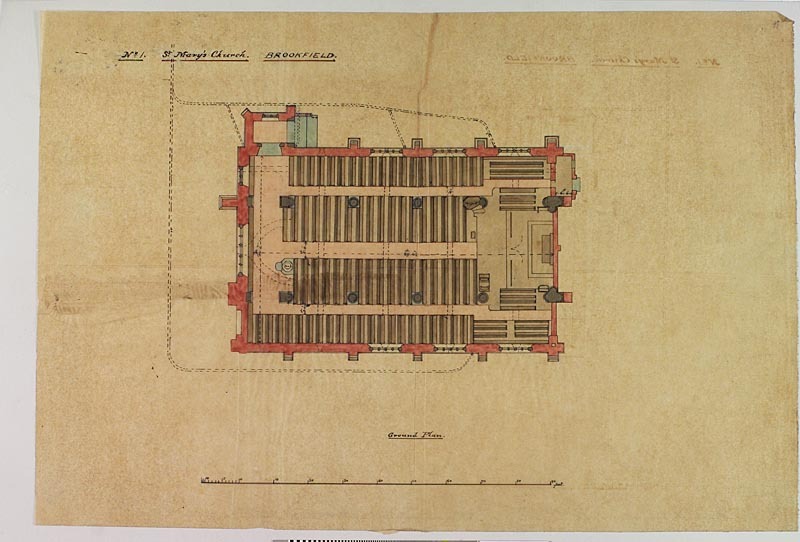 ), an accessible starting point for research on its architectural history is www.churchplansonline.org, which contains digitized plans held in the records of the Incorporated Church Building Society [ICBS], dating back to 1818. For further information, you would then need to consult the relevant ICBS file, available at Lambeth Palace Library, or the files on each church held in the Cathedral and Church Buildings Library at Church House, Westminster.